We finally arrived in Sakunami a little past noon. 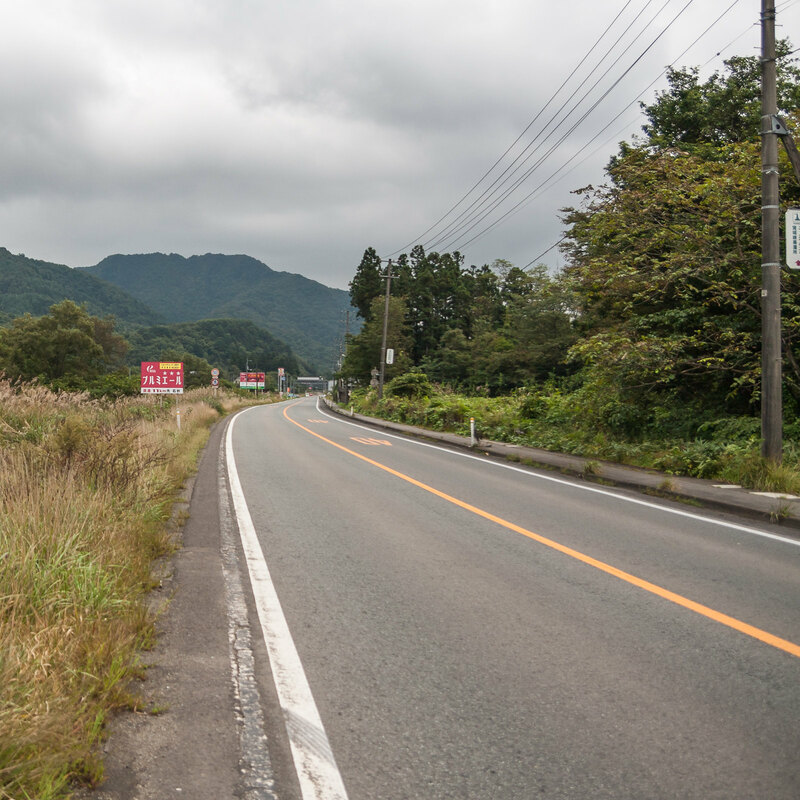 Although the distance between Ayashi and Sakunami is only about 13 kilometers, it still took about 20 minutes to get there. When we stopped at Ayashi, I thought it was a quiet little station, but compared to Sakunami it was actually quite busy. 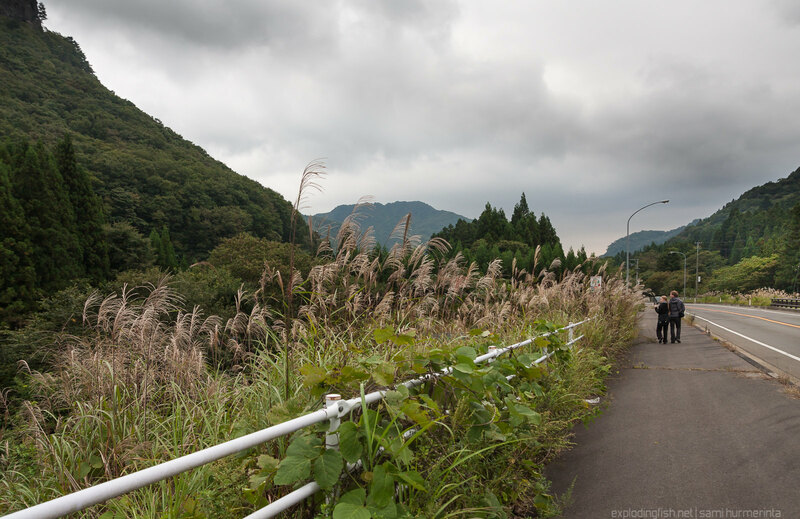 Sakunami station was mostly surrounded by fields and forest, and there were hardly any passengers, although there was a taxi waiting for customers in front of the station. It seems that there is a hot spring resort with quite a few hotels and spas in Sakunami, but not having done our homework we had no idea of what the area had to offer. We had to ask the station staff for directions to our destination, Nikka’s distillery, and while they seemed a little amused to find out where we were going, they were very helpful. A station employee actually ran to the nearest bus stop to check the schedule for us. Because we would’ve had to wait for 30 minutes for the next bus, we decided that we might as well walk because it was only two kilometers to the factory. While I was talking with the station staff, my sister found out the terrifying secret of the Japanese countryside: there are MONSTERS everywhere! There was a butterfly the size of my palm resting on a phone booth next to the station building, and unfortunately this freak of nature wasn’t an exception in the local fauna. The brushes were bustling with all kinds of bugs from huge spiders to different kinds of beetles. While we were walking to the distillery, we also noticed that there were a lot of hornets about 2 inches long flying around and a lot of dead ones on the roadside. (I read later that they are common in the mountainous areas of Japan.) I was also later told that they cause more deaths in Japan than all the other wildlife combined. Strangely, I had never encountered wasps or other bugs of this size before, even though I have been camping in the countryside and the mountains in Southern Japan. 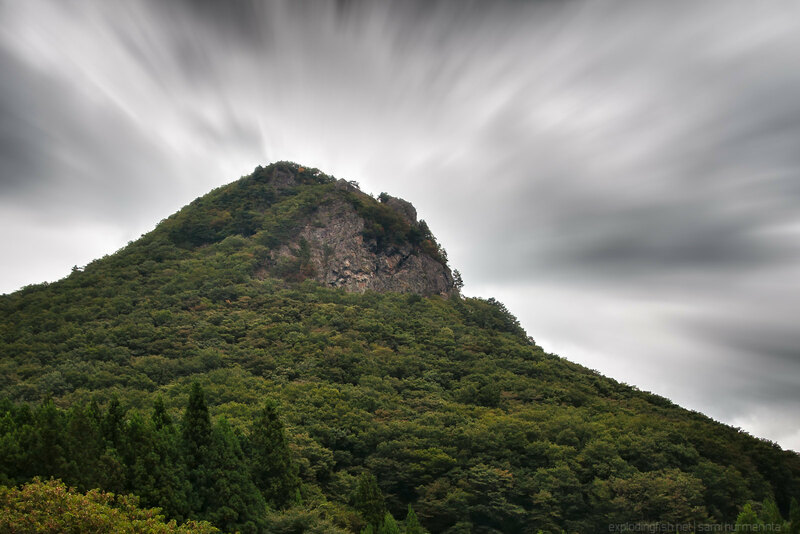 The mountain above is called Kamakurayama. I read later that it is possible to go hiking there from the hot springs, so it’s a shame we missed that opportunity.